Last week was full of new experiences. I got on a Caltrain for the first time, I got off of a Caltrain for the first time, I got stuck on a Caltrain for the first time, and so the list goes on. 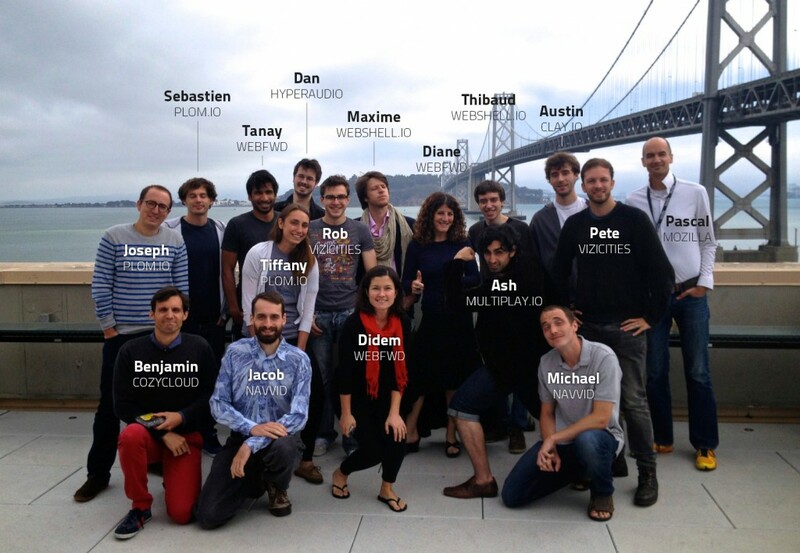 I also met my WebFWD IV cohort! WebFWD is a startup accelerator program run by the world&apos;s best organization: Mozilla. I&apos;m participating with Mark Boas to represent our new game-changing paradigm-shifting non-profit, Hyperaud.io. Since this is a Mozilla accelerator, I wasn&apos;t quite sure what shape it would take. 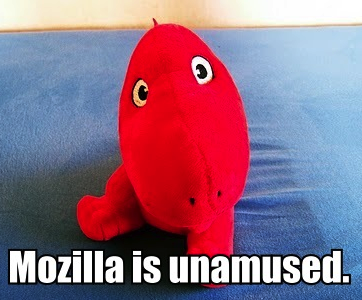 Would the first half of the three month program be spent learning how to use Bugzilla? Maybe we would figure out ways to get Google to fund our organizations. OK last guess: we&apos;d be shown how to make an amazing product that gets slower and slower as we add more features over time. Thankfully none of my theories were correct. The goal of WebFWD is to help us take our hodgepodge of visions, ideas, prototypes, and plans and convert them into something that actually has a shot at becoming a respectable venture. You may be wondering what makes this different from other accelerators. The answer is "the cohort and the community." All of our ideas fit into Mozilla&apos;s vision of what the open web should look like. Similarly, the mentors, alumni, and facilitators are approaching our ideas with at least some appreciation of what Mozilla stands for. In case the significance isn’t clear: this means that we are all there with the expectation that we will ultimately make the Internet a better place. And that is freakin&apos; awesome. The focus of the first two weeks has been learning how to tell our stories in a compelling way. In startup land they call this story a pitch, and it essentially amounts to modern day spellcasting. You use words to bend time and space so that people with spare money or attention will decide to give it to you. Our taskmaster on this particular part of the journey is Mozilla&apos;s very own Pascal Finette. I&apos;ll just say this: anyone who tells you that perfect pitch isn&apos;t something you can learn has never sat in a room with Pascal. Huh? Those people are talking about something else? Unlikely. I took some notes during our introductory meeting with him. Never be late. If you&apos;re late, even only by one minute, you&apos;re done. Minimize cognitive dissonance… Anything that forces the audience to have to think is going to take them away from your presentation. "Uhhh, what is the y-axis again?" …except when you WANT cognitive dissonance… Creating a graph that makes people think in a way you want them to think can be very effective. "Woah, if that line keeps going, it will grow to infinity!!!" …but don&apos;t ever create dissonance in your branding. You can&apos;t call something the "iOS of culinary arts" and later call it the "Google Apps Engine of culinary arts." Pick one and stick with it. You are never trying to do something, you are actually doing something. You are all changing the world — that&apos;s the attitude you need to have. I think Jar Jar Binks said something about this in Star Trek at some point. Being a pioneer means being risky, and investors don&apos;t like risk. You want to talk about how others are in your space, and how you are making your space bigger. New pastures are dangerous because there is much more unknown. Have a slide deck for distribution Many people have two slide decks — one with the graphics that aren&apos;t text heavy, and one with more text to explain what that picture of a cat covered in spaghetti actually means. Have a few versions of your pitch for different contexts. Create a 30 second, 2 minute, 5 minute, and 20 minute pitch deck. This will help you identify what is most important and ultimately refine your story. It is dangerous to say "users like me." Building something for yourself is great, but it isn&apos;t a business. Try to talk about a third party instead of yourself when describing why your product is useful. Don&apos;t assume people know what you are talking about. Not everyone knows why Hacker News is so cool, or why 500 points is impressive. Always try to provide context for those who might not understand why something is impressive or important. Be careful not to redefine words. Terms like "web 3.0" already exist as a concept. Don&apos;t try to give it a new meaning. When presenting, don&apos;t focus on one side of the room / table / etc. Look around the room. Give yourself breathers, allow yourself to make a point and look around for visual contact. Show off your passion. Most SV companies are in it because they think they have a cool tool, and intellectually it&apos;s interesting but the team isn&apos;t passionate. Some people fund that idea, but many investors want to see the fire behind it. Get your audience emotionally connected. "Imagine what you could do if…", "Imagine if you were covered in bees and…" — You want your idea in everyone&apos;s head. You want them thinking about it. Wrap your motivations in positive language. "HTML5 was slow as crap so we needed third party tools to save our entire industry from falling to the might of Sauron" isn&apos;t as compelling as "lots of people are making amazing performance tools to make this platform even more awesome!" Don&apos;t speak too quickly. A four minute pitch is really short, but you still need to let things set in. Practice a bit without worrying about time and intonate better. After that then cut down the amount of content. Slower, deeper breaths along with theatrical pauses will keep people&apos;s attention. Don&apos;t try to emulate others when presenting. This isn&apos;t a public speech, this is a pitch. If you naturally have dynamic ranges in the way you speak then great, but if you are a quiet person you don&apos;t need to force yourself into being loud sometimes just because you heard that all the cool kids are doing it. Keep the association between the product and company clear. Explain the difference between the vision of the company, the specific product you are pitching, and the products you hope will come down the line. If you list prices in your business model, justify it. This is especially if it is a number that might trigger a "woah, that&apos;s expensive" gut reaction. Make sure the problem you say you are solving is actually the problem you are trying to solve (and is a real problem). Your idea probably solves lots of things, so you want to be sure that the specific target of your creativity is both compelling and accurately described. Only use impressive success stories. If your primary anecdote is underwhelming, then your audience will sit around being underwhelmed. Visualize your stats. Statistics about your product are good (10,000+ users, etc) but visuals are better than text when showing off data. When describing your team, be sure to brag. You don&apos;t want just head shots and names, show some accolades in the slide. The last slide should always have a way to contact you. People shouldn&apos;t have to find you after the presentation to get in touch (especially the case when presenting to an audience). Explain more why your partners are behind you. Just naming names might sound impressive, but if you can illustrate what a collaboration actually means for your product that will have more impact. Don&apos;t include slides that you are going to blow through. Either it is part of your story or it isn&apos;t. Also be sure to highlight the important information. End with an ask. At the end of your presentation you want your audience to know how to help you. Don&apos;t make them guess. And that was just our initial two-hour feedback session! Maybe I&apos;ll manage to come out of this an entrepreneur after all.